Join the ladies for a day at the hunt. 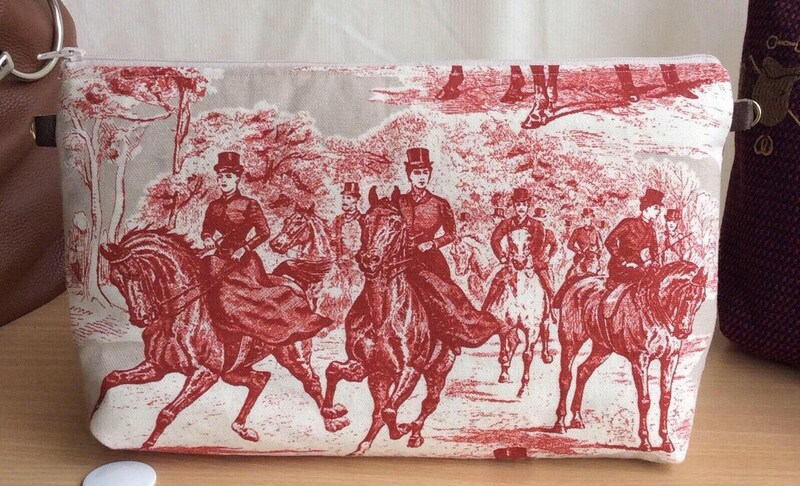 This amazing equestrian print depicts ladies off for a day of fox hunting in side saddles. The fabric hails from England and is a sturdy upholstery weight cotton that is treated to be stain resistant. This bag can be carried as a clutch, with or without a removable wristlet($7.00) or add a removable leather shoulder strap($20.00). 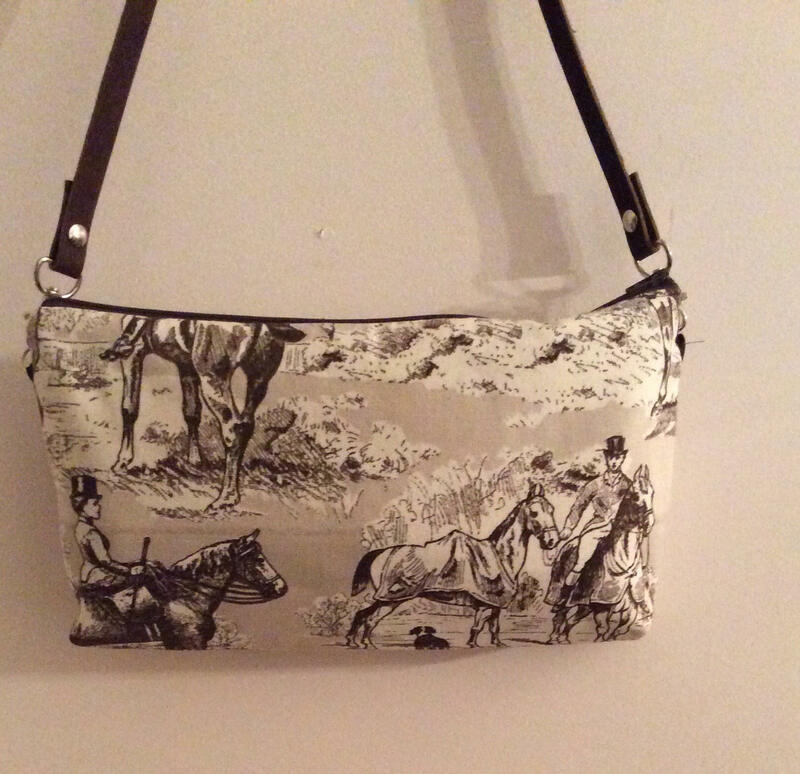 The elegant bag measures 12”x7” and is lined in organic cotton. This bag is available burnt red and taupe and also grey. Unfortunately the brown is all gone and I am unable to obtain more but I am definitely keeping my eyes open in my travels to find some. Absolutely stunning in either color. Both the wristlet or the shoulder straps can be purchased separately. Message me for a private listing. 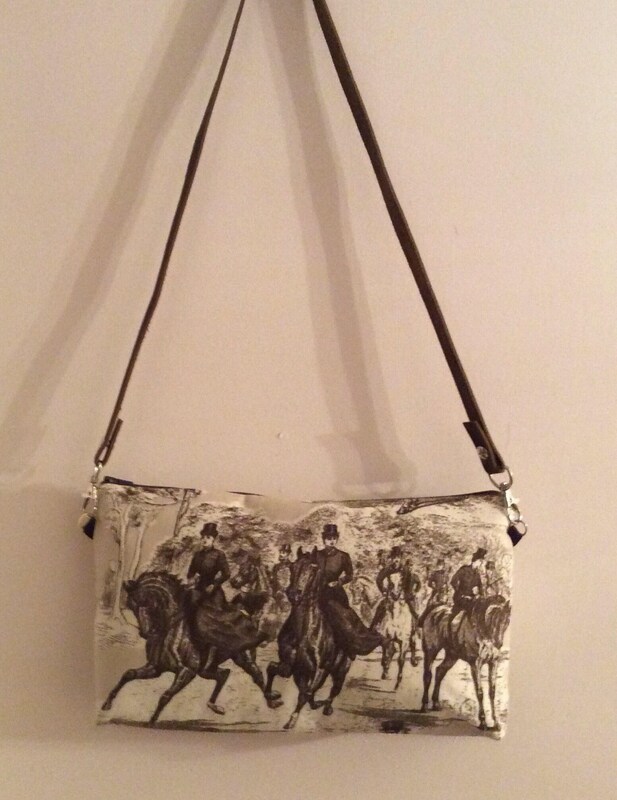 This purse is a great gift for the equestrian in your life or a gift to you! Please note this listing is for the bag only. It is shown in pictures with the shoulder strap to display your options.